We’d love your help. 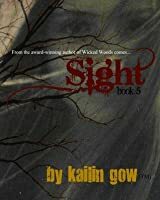 Let us know what’s wrong with this preview of Sight by Kailin Gow. The Gates of Palisor has opened and now the most dangerous and powerful creatures Wicked has been harboring have been let loose. Briony is now in a race to save Wicked, with the help of her friends from the Preservation Society and the two men who would go to the ends of the Earth and Palisor for her. 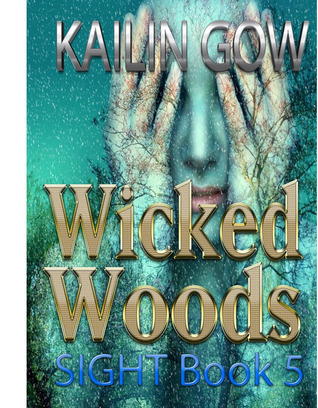 Book 5 of the Wicked Woods Series. To ask other readers questions about Sight, please sign up. I really love this series but I wish Miss Gow can end it sooner. You never cease to amaze me Miss Gow, turned out all the waits for each book in this series worth it. I really love this book! I hope it was longer though. And I wish Briony ends up with Kevin. I really enjoy the series but I wish the books were longer. Won this signed copy on goodreads giveaways, I have not read it yet because I'd like to start with book one in this series till I reach this one so stay tuned for the review!